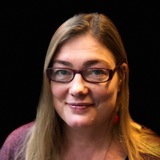 Aino Corry is a teacher, a technical conference editor and retrospectives facilitator. She holds a masters degree and a ph.d. in computer science. She has 12 years of experience with Patterns in Software Development, and 10+ years' experience with facilitation of retrospectives. For the past 5 years she has been focused on facilitating the agile journey for several companies in Denmark. She also teaches how to teach Computer Science to teachers, and thus lives up to the name of her company; Metadeveloper. She is always interested in hearing anecdotes about octopuses.